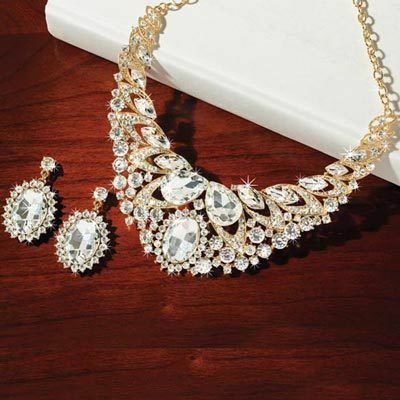 This Extravagant Bling Jewelry Set is lavishly lovely! Large oval faceted rhinestones in the center are surrounded with smaller clear crystals. Necklace, 18"l with 2" extender; Earrings, post backs, 2"l.